Securely managing printed output is a requirement for many industries, including education, law, financial services, government, retail, and healthcare. Companies are looking for ways to streamline secure printing processes, cut costs, and eliminate risk. Not only do they need to control what is printed, but manage who can request and approve printing of certain documents, track and audit the output, and prevent pilfering of specialized print stock and forms stored in the printer. Tray-Lock Upgrade. 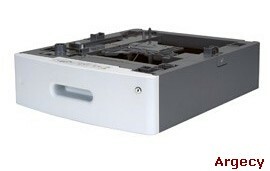 Trays on Source Technologies and OEM partners' printers can be upgraded with an integrated key lock. This lock prevents unauthorized access to paper stock placed in the printer tray. Each lock comes with four serialized keys that are registered for replacement in the event they are lost. Locking Replacement Tray. Locking Replacement Tray features an integrated key lock that prevents unauthorized access to paper stock placed in the tray. Each lock comes with four serialized keys that are registered for replacement in the event they are lost. Locking replacement trays can be purchased after the original printer purchase. Locking Paper Drawer Additional drawers securely attached to an Infoprint workgroup laser printer. This allows the user to deploy up to two locked drawers, both physically attached securely integrated to the printer. Implementing secure tray locks and drawers can help companies physically store and manage their resources. Whether printing checks, money orders, prescriptions, or any information-sensitive documents, companies can rest assured that they are securely locked within their printer and focus on their daily business.